Tens of thousands of people gathered in central of Madrid on Saturday amid tensions over Catalonia’s recent push for independence. Many protesters dressed in white, marching under the slogan “shall we talk”. 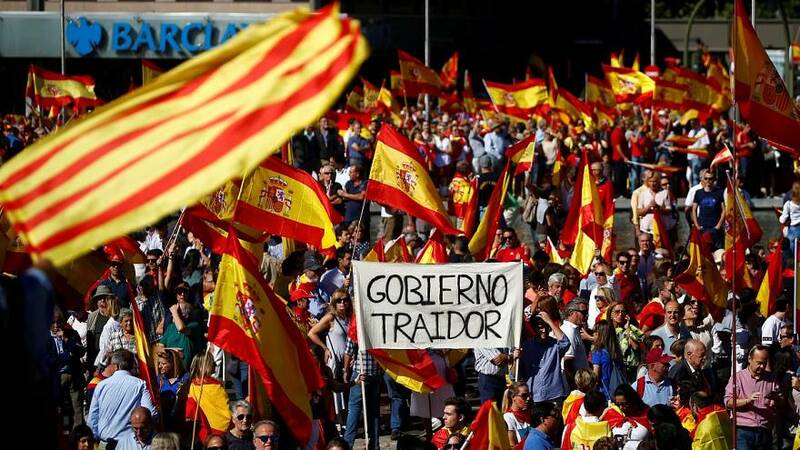 Organisers said the rally was an attempt to defuse the escalating political crisis over, the worst to hit Spain in decades. On Friday, Madrid’s most senior official in Catalonia apologised to those injured by police in last Sunday’s banned independence referendum. In addition to the large pro-dialogue protest, several thousand people also took part in nearby rival rally waving Spanish flags to demonstrate against Catalan independence.